If you are using FoamFix Anarchy Version, disable B:initOptions in the FoamFix config or else Default Options will not work. See https://github.com/blay09/DefaultOptions/issues/25 for more info. Make sure to ship the defaultoptions folder inside the config directory, and NOT the options.txt from the root directory in your modpack. Victory! Check the Controls GUI to see that the default settings have updated. Players will now start with these keys by default. 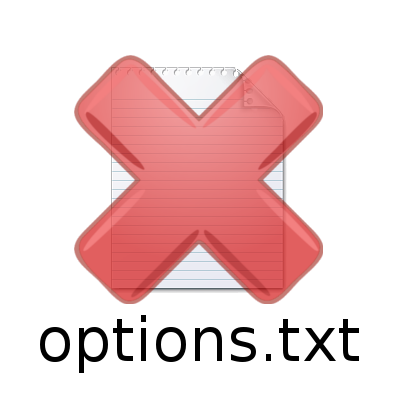 Make sure to ship the defaultoptions folder inside the config directory, and NOT the options.txt from the root directory in your modpack. Woohoo! Fresh installations of your pack (=> no existing options.txt) will now get the default options you specified. Make sure to ship the defaultoptions folder inside the config directory, and NOT the servers.dat from the root directory in your modpack. Victory! If you want to set up your modpack in a way that lets users change specific config files without having them overwritten by updates, you can put those files into the defaultoptions folder rather than the config folder. Those files will only be copied over into the config folder on the first run of the pack. Sadly Minecraft's mod configurations aren't standardized enough to provide a more complex solution without having lots of breakage. Does your mod makes a config file of the keys only or graphic/sound options too please ? That is exactly what I was looking for. Perfect. Is it possible to define the "java memory" that will be used in game with such mod ? The memory to be assigned to Java must be configured before Minecraft launches, at which point the mod isn't loaded yet, so it's not possible. Ok I understand. Java settings are the 1st step before running the game. Anyway your mod is awesome. Thank you again. Does it saves active Resource Packs too? Another question: what are permissions for modpacks? My mods are either licensed MIT, GPL or Public Domain, all of which allow redistribution as long as no attempts are made to obscure the original author's credit. 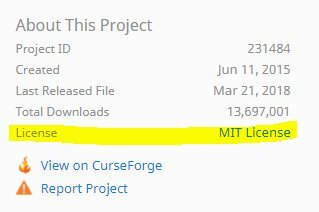 You can see the license on the project page of the mod. Is there a way to ship the configs via .jar? I'm maintaining a server that a family member is paying for, and we need to set up specific .config settings, however our server host does not allow manual file manipulation. Pretty much a must have for every modpack, well, at least the larger ones! Thank you very much for creating Default Options! does this also support custom screen resolutions? Oh crap, are you dead? I asked this back in February, it's now September 15, I still got hte same question, just came here for that. Custom screen resolutions are no longer supported since v9.2.4 as the window is created before Default Options loads. Can't you save it anyways and then ask the player with a popup "The mod pack dev recommends X by Y resolution, do you agree?" they answer yes or no. if they answer yes, it then says "Options.txt updated" pelase restart your client. Considering window size is very much a user preference and not really something a pack should care or worry about, I don't want to put in a whole new feature just for that. Especially since no one would want to go through the pack loading time again when they could just resize the window themselves / have their launcher set up to always use their desired size. Can this be used by players to keep their changes to the settings from being overwritten? Say a user doesn't like Quark's "greener grass" or "endermen cheese" and turns it off. On update they get turned back on, even if the pack maker never intentionally set it. Hey I got a question, can I use this mod in order to set default options for mod configurations instead the config folder; as a means to override what the mod has by default but then allow the user to change the settings to their desire and have those changes save? On the first run, the mod copies all files from the "config/defaultoptions" folder into the "config" folder (except for options.txt etc. ), so yes, that should be possible if you just move the files in there (and then not include them in the actual config folder to prevent overwrites on updates). I am assuming that overwriteconfig is the option to load the saved options over the existing options. However, can you add less ambiguous options, such as loadKeys, loadServers, and loadOptions? That way the player can load the parts of the defaults they explicitly want. Hello! Thanks for your mod! Is it compatible with Journey map? If yes how should I use it? since the config folder for journey map is outside the "standard" config folder.